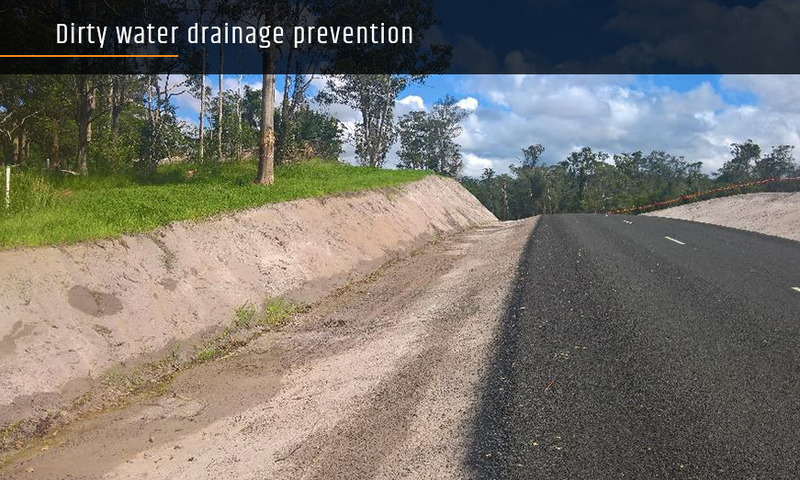 Our client needed a way to prevent dirty water from leaving a temporary drain on a Government Main Roads project in Caloundra on Queensland’s Sunshine Coast. To mitigate the risk of dirty water seeping through the drain lining, we applied our spray-on erosion control product, GeoSpray, at a rate of 3kg to the m2. Eight months later, the GeoSpray membrane is still intact and performing to expectation. The area has received more than 2.4 metres of rain during this period, with some rain events being of cyclone strength.